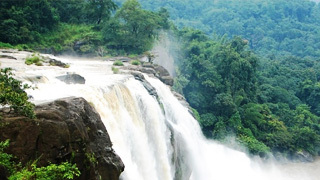 Athirappally is one of the largest waterfalls in the state falling from a height of 80 feet. Dense green forest and mesmerizing valleys are thrilling factors of an Athirappally trip, and four different species of hornbills are also interesting. 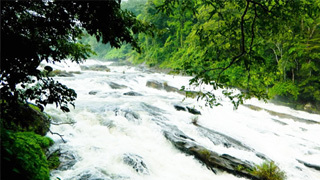 A challenging jungle safari is waiting for scavenger and explores the wild splendor of Athirappally. Little drizzles are always present near to waterfall, which offer frozen atmosphere in all seasons. 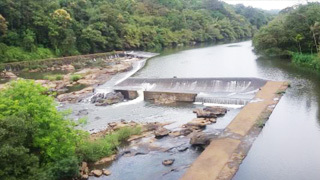 Also the well known Chalakkudy River is a part of the great Athirappally and Vazhachal waterfalls. Charpa is another striking waterfall situated in the highway which surprises the visitors. The popular Thumpoormuzhi dam and butterfly gardens are also fascinate every traveler. Its magnetizing beauty creates Athirappally one of the top prior tourist destinations in Kerala.